The very first Hot Air Balloon Festival in the Philippines was held at the parade grounds of Clark, Pampanga in January 1994, three years after the Pinatubo eruption to help jump start the local economy of the region and uplift the spirit of the Kapampangans. The Philippine Hot Air Balloon Festival is an annual event that usually occurs between the month of January and February and features a display of many multi-colored hot air balloons that attracts over a hundred thousand of locals and tourists from all over the world. Side events usually includes night glow displays, sky diving, racing and other outdoor action sport activities. 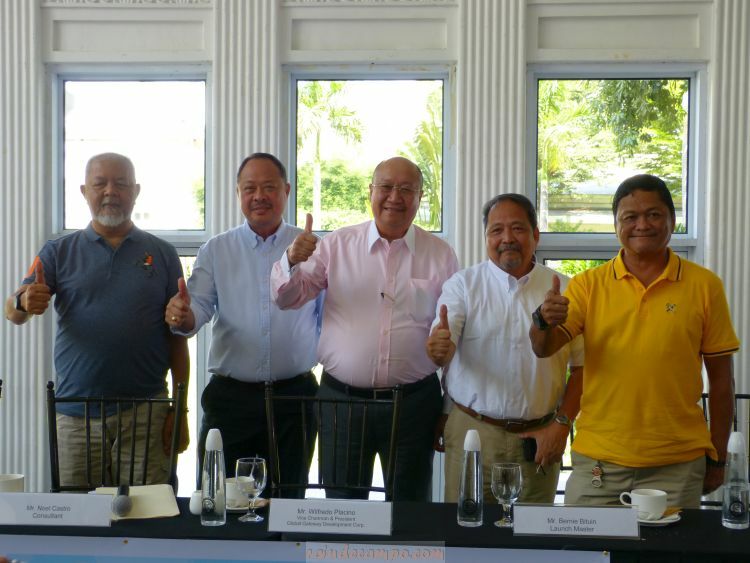 This 2019, Clark Global City will be hosting the Frontrow International Hot Air Balloon Festival on April 12 to 14, a week after the Lubao Hot Air Balloon Festival. Held in cooperation with SM City Clark and sponsored by Phoenix Pulse Technology, Dickies and Clark Medical City, the Frontrow International Hot Air Balloon Festival promises to be a feast for all the senses as it will feature a total of 20 balloons – 15 regular shaped balloons and 5 never-before-seen special shape balloons. Aside from the Philippines, there will be 11 other participating countries this year: USA, Belgium, Malaysia, Netherlands, France, Thailand, Australia, Brazil, Vietnam, Korea and India. 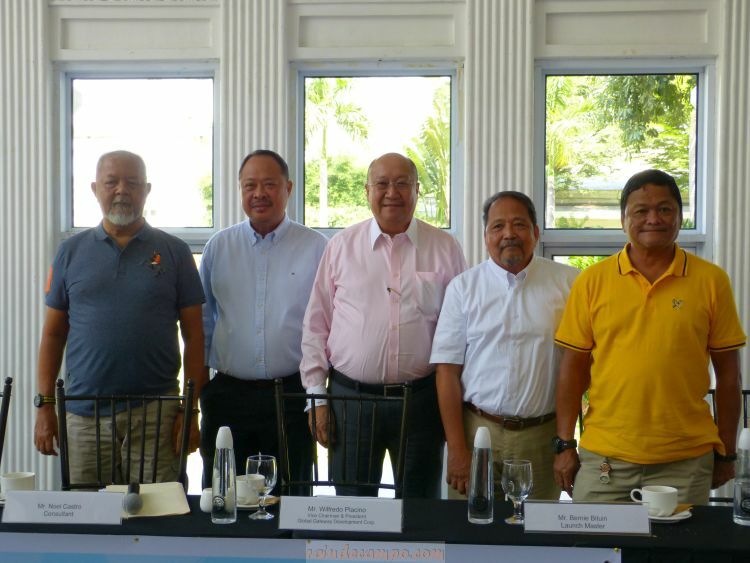 During a recent media event held at Enderun, the Clark Global City Hot Air Balloon Festival Organization led by Mr. Wilfredo Placino, Vice Chairman and President of Global Gateway Development Corporation, shared some important details about this April’s Hot Air Balloon Festival and how it is different from the previous events. Mr. Placino said that parking wont be a problem anymore as they believe that they have enough grounds to accommodate the influx of audience this year. They encouraged visitors to take the Clark South Exit (Clark Global City Exit). Another big difference is that the Frontrow International Hot Air Balloon Festival will be offering longer hours for tourists to experience riding in a balloon because it’s going to be tethered. In previous events, only a handful experiences riding a balloon at a very expensive rates (300 USD) since flights are limited to a window of only 5:30 to 6:30 in the morning. With the Frontrow event, regular shaped balloons can make tethered flights from 6:30 to 9:30 in the morning and if wind condition permits, from 5:00 to 6:30 in the afternoon. 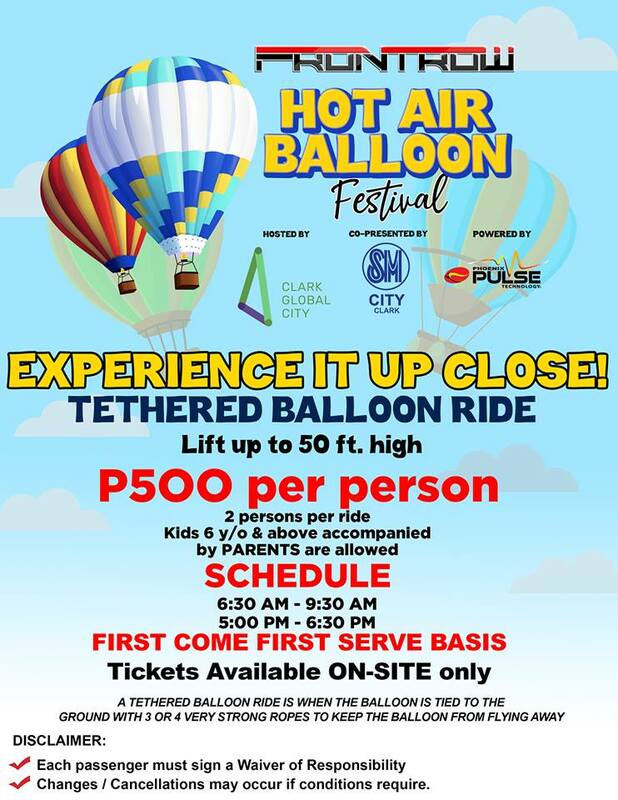 At 500 pesos per head, more people can now experience riding a Hot Air Ballloon off-ground. Aside from the regular shaped balloons, 5 new balloons will be featured during the event which includes the much-awaited “Elvis” and “Year of the Pig” balloons. This will be a selfie-worthy experience for all those who will be visiting Clark during the festival. The Frontrow International Hot Air Balloon Festival will also host a lot of other side events that kids and adults will surely love. For the kids, there will be inflatable attractions and slides, fun shows and mascots. For car and motorsport enthusiasts, the National Drift Championship will also be held during the 3-day event as well as the Slalom Racing, Philippine Auto Cross Championship Series, Philippine Rally Cross Series and Suzuki Motorcycle Philippines Stunt Show. Tickets to the Frontrow International Hot Air Balloon Festival can be purchased onsite or via SM Tickets and the Clark Global City Development Corp Office and soon via partner key distributors. Ticket price is 350 Pesos. The Clark Global City is accessible via SCTEX and NLEX for those coming from the south. It is also the main entry point of TPLEX for those coming from the far north. Pag nag avail po kaya ng balloon ride for 500 pesos need pa mag bayad for entrance fee (350) ? Thank you. Saan po yung exact location ng event ? ?